There is a lot of talk of finding value picks in fantasy football. Getting players for less than they will be worth is essential. There are some must have players in my eyes, though. These are players that I will pay a bit more for than their ADP suggests. I know that the detractors say that Freeman is due to fall off in production. He has another very talented rusher in the same backfield in Tevin Coleman. The fact is that Freeman continues to produce at a high level and the Falcons have rewarded him with a very lucrative contract. Some players will fall off after making the big money, but Freeman is going to keep producing. He has scored 11 rushing touchdowns in each of the past two seasons. Having Coleman handle a good percentage of the carries keeps Freeman from wearing down as well. Last season he carried the ball 227 times and still broke the 1,000 yard mark. Tevin Coleman is a nice back; Devonta Freeman is one of my must have players. The Chiefs drafted a true three down back in Hunt and he is one of my must have players for 2017. The thought was that he would take the lead back job from Spencer Ware at some point. When Ware went down with a season ending injury, it went from some point to now. Hunt is a talented runner and catches the ball well out of the backfield. Being the lead rusher in an Andy Reid offense is almost a guaranteed ticket to fantasy success. Since 2007, Andy Reid's RB1 has averaged double digit fantasy points per game. That is standard and/or PPR formats. Hunt could easily end up in the top 10 running backs of 2017. 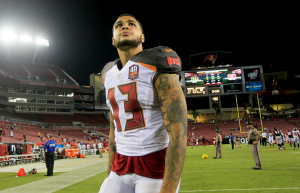 Mike Evans is a beast, and he has probably not peaked yet. Evans is going in the first round or a boatload of cash if you play an auction format. He is worth every penny and that goes double for keeper leagues. Last season, Evans had 96 catches for 1321 yards and 12 touchdowns. This was working in an offense with a very young Jameis Winston at the helm. There were a ton of injuries and things generally did not go well. This year the Bucs bring in DeSean Jackson and have a healthy crew of running backs. I think that Evans tops his monster numbers from last year and that is still not his full potential. In almost unheard of fashion, Thomas dominated the league as a rookie. He racked up 92 catches for 1137 yards and 9 touchdowns. This season he is still working with one of the best quarterbacks of all time and he does not have to compete for targets with Brandin Cooks. Thomas is going to continue to make it look easy in 2017 making him one of my must have players. Olsen is one of the most consistent producers in football. That makes him a must have. 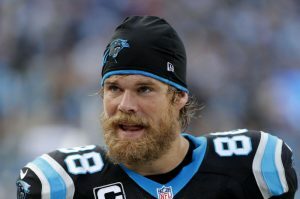 There are no constants in fantasy football, but Greg Olsen is close. Just about every year Olsen goes out and puts up top tier statistics on the football field. Cam Newton trusts him and Olsen always finds a way to come through for his team and fantasy owners. He is almost a lock for 75-80 catches and 1,000-1,100 yards. Touchdowns can be fluky, but Olsen is one of the top two or three choices in the Panthers' red zone offense. He provides stability and health at a difficult position and that makes him a must have. The season is just a few days away. If you are still drafting, do what it takes to get a couple of these guys. If you already have a team in place, check back for my weekly waiver wire picks. A good draft is a big part of success, but adjusting to changes in season is just as important. Either way, you can count on Fantasy Knuckleheads to bring you the best in-season advice every week. Be sure to follow us on Twitter for more news and insight: @_knuckleheads and @brendancole16.